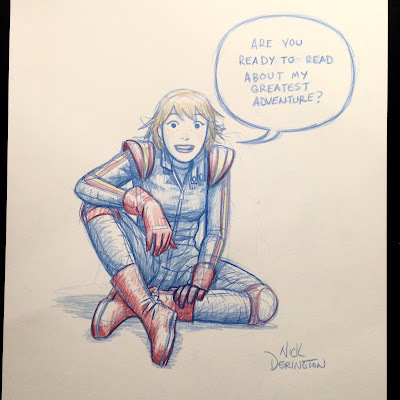 Nick Derington has been sharing a bunch of art as he's been working on Doom Patrol. Everything from a custom Robotman mask to a DP-specific ambulance to warm-up sketches of Spider-Man and Superman. This, however, is the single most engaging image I've seen. With Nick Derington's approval, I present to you - Casey Brinke. Among the biggest challenges an artist can encounter is conveying a character's personality only through imagery. Body language, expression, gesture, posture, and even page positioning all telegraph information to the viewer. More often than not, viewers will be bringing their own set of filters to interaction with art, but in the case (or Casey) above, Derington gives the readers everything they need to know: Casey is inviting us to join her. It's time to go explore, to learn, to see and do. And I'm all in. In the ashcan (more on that later this weekend) Casey is dubbed Space Case. Beyond that, we haven't actually met Casey save for the images Derington, Way, and DC Comics have chosen to share with us, but everything about her in Derington's art projects a personality that invites interest and friendship. 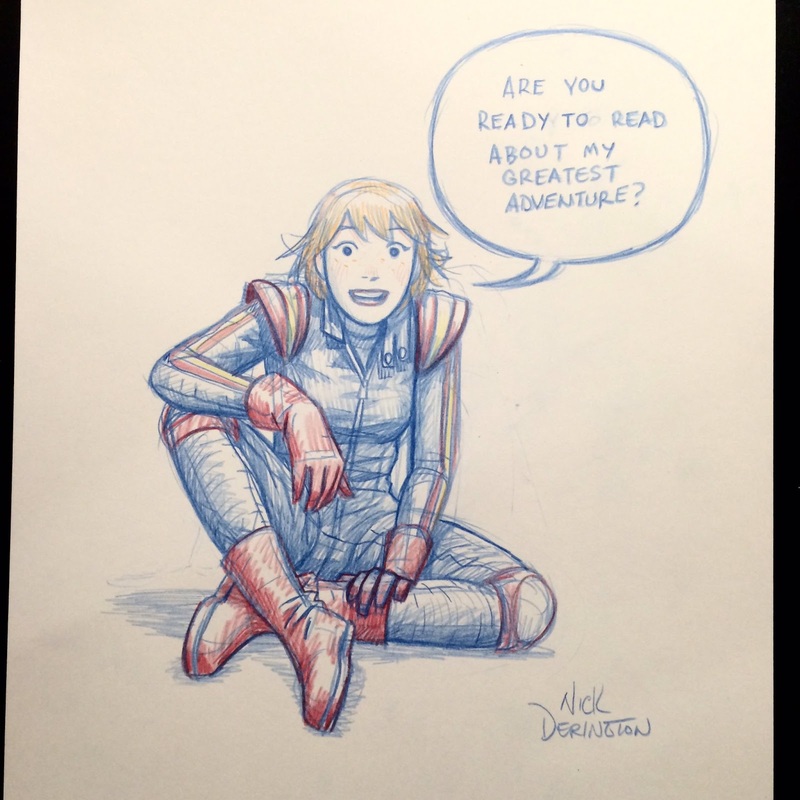 Well done, Nick Derington! I can't wait to meet Casey in just a few weeks. I'm so excited for Way's run!